Let me tell you more about it. 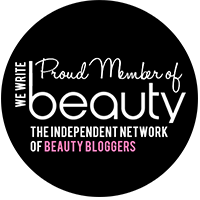 You can now say goodbye to basic lip balm and rediscover the lips you were born to have! - Lips are instantly moisturised for up to 8 hours.- Contains active care ingredients, such as shea butter and centella.- Vitamin Complex delivering powerful anti-oxidants.- SPF 20 for protection against harmful UV rays.- After 4 weeks lips are deeply repaired, completely reborn. Guaranteed. This was one of the recent products that Maybelline launched few months ago when I saw it on Maybelline's Facebook Page. 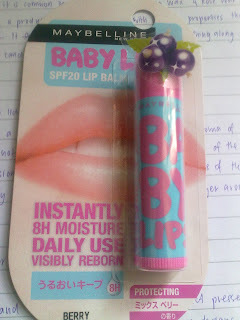 It was like mission-impossible to get back my soft baby lips before then as I had dry and chapped lips. I mean, really dry until you can see flakes of skin starting to peel off from you lower lip, the condition still remains even though i applied my Lipice LipBalm. 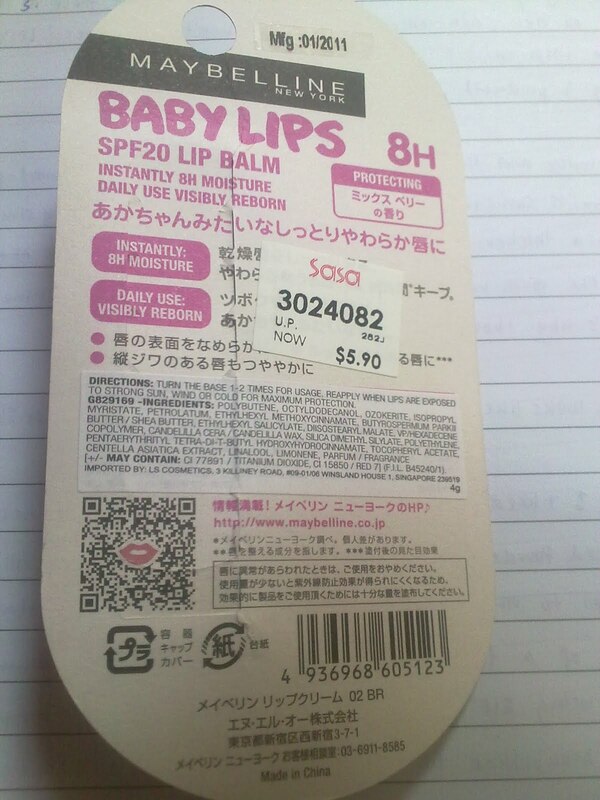 (I'm not trying to say that Lipice lipbalm is not good, just might that the lipbalm doesn't suit me>.<) I went to one of the SASA stores and bought the one in "Berry" to try it out, hoping that it does magic to my dry, chapped lips. There are actually 4 delicious flavours, namely in Berry, Cherry, Orange and Menthol. The packaging was great and cute too! I liked the "children" CAPS handwritting for "Baby Lips" and there's a side one stating "Anti-oxidant Berry". Sweet^^ The lipbalm was quite a lot in a tube, I couldn't finish in two months. Mine was halfway through the tube when I started TWO MONTHS AGO. The aroma made me feel like I'm chewing on my blueberry Meiji Yoghurt, nom nom^^. I'm totally in love with it! Furthermore, it has a SPF 20 Protection against the sun rays. This makes it a all-rounder LipBalm. 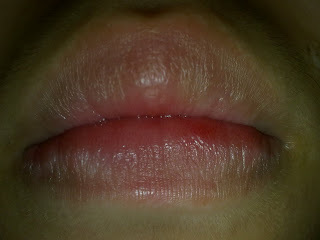 The above picture shows my pathetic chapped lips as you can see deep vertical lines on my lips. I took this morning, but this was definitely better than before and I didn't apply any Baby Lips the night before just for the test today. This picture was taken after 8hours+, I think you guys did spot a great difference on my lips right? 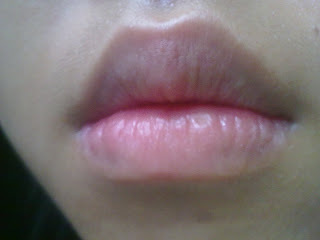 Not much deep vertical lines on my lips, but there are some visible ones. 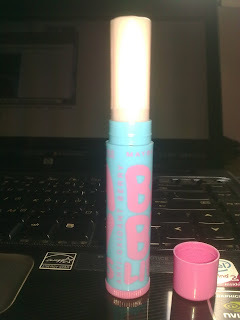 Maybelline Baby Lips really do save my dry-chapped lips. Furthermore, it is definitely a wallet-safe item to buy too, retailing at most SASA, Watsons and departmental stores at $5.90 and comes in 4 flavours: Cherry, Berry, Orange and Menthol. It really urges me to get the CHERRY Lip Balm, and that would be after I finish my Berry first. 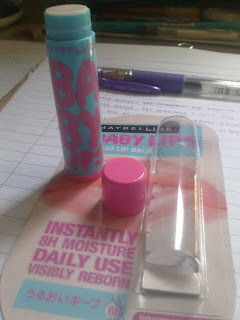 PS: If you want to get soft, baby lips, better get your hands on one of Maybelline's Baby Lips LipBalm right now! 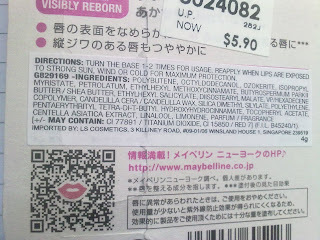 It was a 'new-launch' by Maybelline, I guess S'pore would be slightly cheaper?? 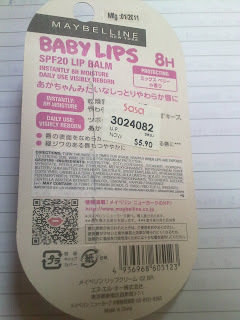 BoRNiiLOVE SPReeS: Ha, this lip balm of Maybelline's did some miracle to my own lips. I use this too and I love it! It's the only lip balm that has ever worked great for my forever-dry lips!